Who doesn’t like a reward? They’re like little celebrations of ourselves, especially when they’re handed out for doing the things we do every day, like grocery shopping or paying bills. And that’s exactly what most cards do through their loyalty reward programs. And yet, a majority of cardholders are unaware of the offers, rewards and benefits they already have, let alone could take advantage of. 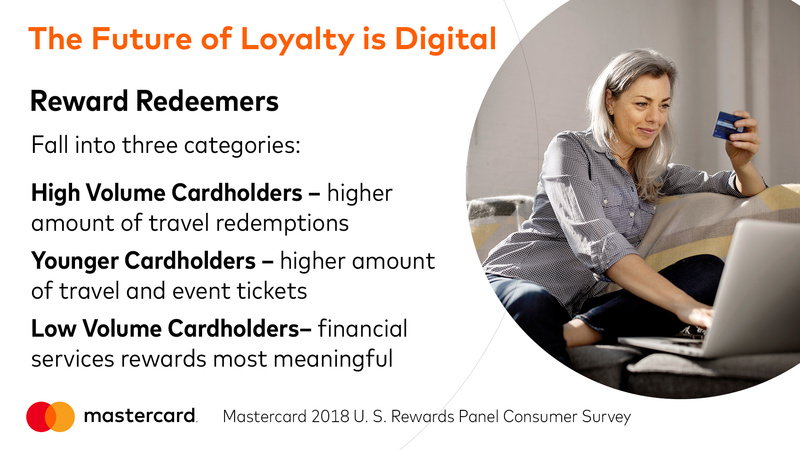 A recent Mastercard survey of roughly 5,000 U.S. rewards cardholders, across networks and issuers, found that while rewards and loyalty programs are top of mind for consumers, they often don’t always know how or when to use them. Rewards Redeemers – Those who take advantage of programs and redeem points for travel, cash or other gifts. Rewards Non-Redeemers – Those who are not aware of or are not taking advantage of available loyalty programs. Rewards Under-Redeemers – Those who are aware but are not taking full advantage or do not know all the ways they have to redeem. Often, non- and under-redeemers view rewards as something they need to plan for in advance or that require 1-800 numbers or catalogs. Of those who reported they could not or did not know how to redeem at checkout: 69 percent stated they would redeem in real time if they had the option and 24 percent said they would use their cards more. That means there’s an opportunity for banks and merchants to lean into digital platforms to communicate the value and offerings of loyalty programs to consumers. While digital platforms can help educate rewards under- and non-redeemers on card benefits and encourage them to redeem more often, it is just as vital that we find ways to use digital platforms to enhance the overall redemption experience. 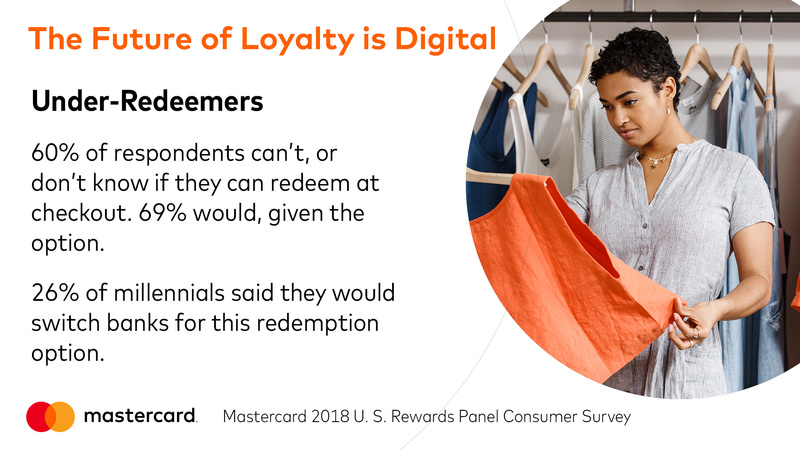 Loyalty programs should make it easy for consumers to personalize their redemption preferences, and use rewards anytime, anywhere and through any device. That’s where Mastercard Pay With Rewards comes in, providing consumers with the freedom and choice to use their rewards as they like. Banks and merchants are already using digital platforms to verify identity and alert consumers to potential fraud – why not also use it to communicate loyalty offerings and offer mobile apps to put this information at cardholders’ fingertips? Agree, banks and merchants should use digital platforms to make redemption easier. I am thinking the reason for them not to do this actively is because they are waiting for the points to expire, once it expired that is pure profit to them. Excellent insight. So true to point out that commitment to informing program members about how rewards programs operate and providing seamless, personalized preference informed digital engagement is mission critical. 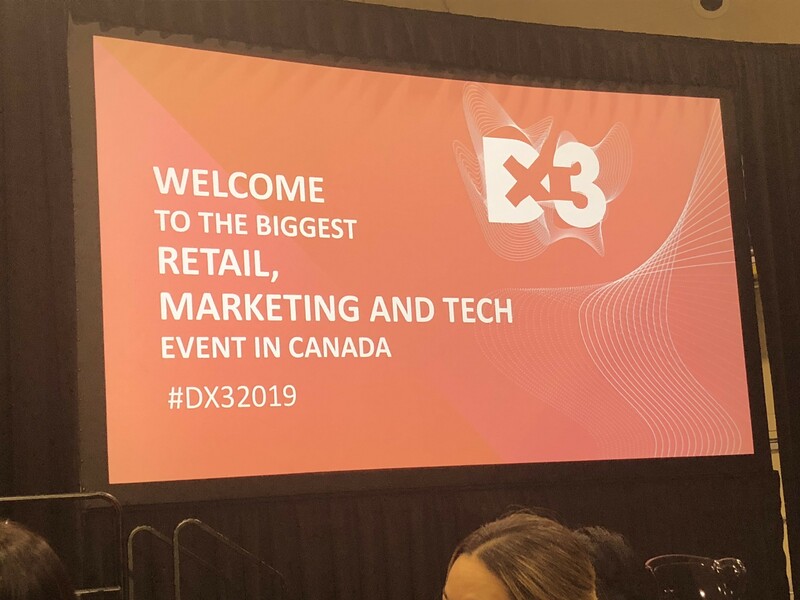 Retailers investing in card based programs need to re-examine their operating model and find gaps to win true incremental lift from profitable customers. I love it when people tune about the future of loyalty is digital. I agree. I have been using the services of a premium-grade loyalty video company known as Treepodia. They are adept (experts I should say) at creating amazing quality videos that really talk to the individual as an individual. Nobody wants to have a loyalty video that is generic. We want something that we can connect with. As far as I’m concerned, the future of loyalty is found in digital videos! I read this post with a great degree of curiosity. 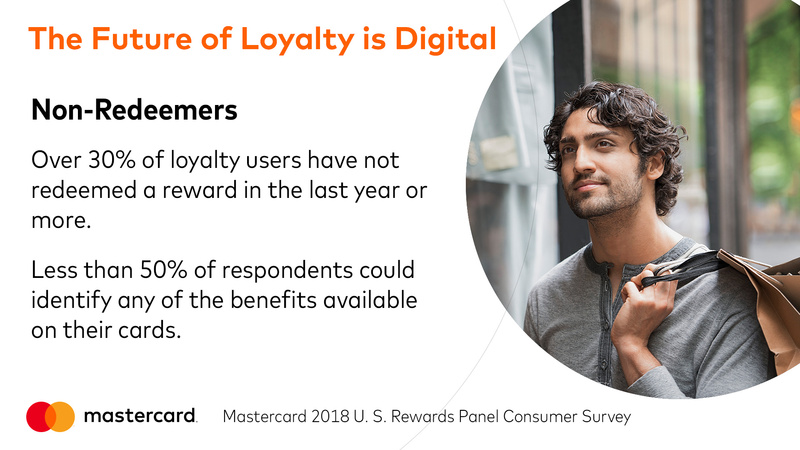 I totally agree with the MasterCard notion of loyalty being front and center with digital marketing communications. The company that I’m consulting with uses the expert services of Treepodia for loyalty marketing videos, and we have seen some incredible boosts to ROI. I find that when you personalize your content your clients’ needs, you invariably generate the results that you’re looking for. That probably explains why MasterCard is doing such a great job of ROI for its shareholders. I couldn’t resist adding my comments on year about this loyalty video. I was actually searching for companies that provide expert loyalty video content, and not necessarily Kendrick Lamar and Rihanna etc. Thanks to the comments at the bottom by Jaden and Nirusha I now know that Treepodia is probably the service that I’m looking for. This is too funny – accidental findings proving auspicious for my company. First of all, already you assurance up to hostgator, achieve abiding that you get all the abstracts of your login name, passwords, ascendancy console access, abutment admission and ftp access. This is all basal admonition and may end up in your spam binder for some acumen so white annual the hostgator email and afresh save a archetype of the email on your computer for safe keeping. Keep posting that interesting info!